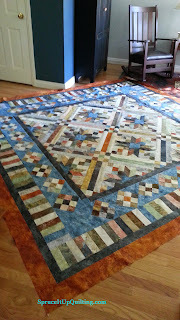 Your quilt is just gorgeous , and I seen it first on Kathy's blog , lovely quilting too !! Thank you Sheila. Kathy is a wonderful quilter! Yes it would have but it looks equally good in front of your beautiful home! I just LOVE your ice pictures! 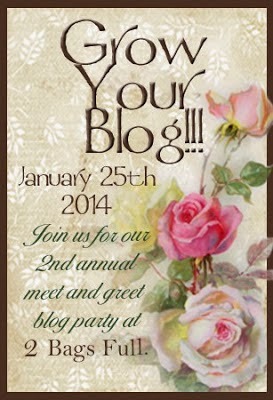 Welcome to the blogging world, Lorette! You are one busy chickie!! Your quilt is gorgeous and Kathy’s quilting has beautifully enhanced your piecing and fabric choices! I look forward to seeing lots more of your work in the posts to come! Thank you Jennifer. 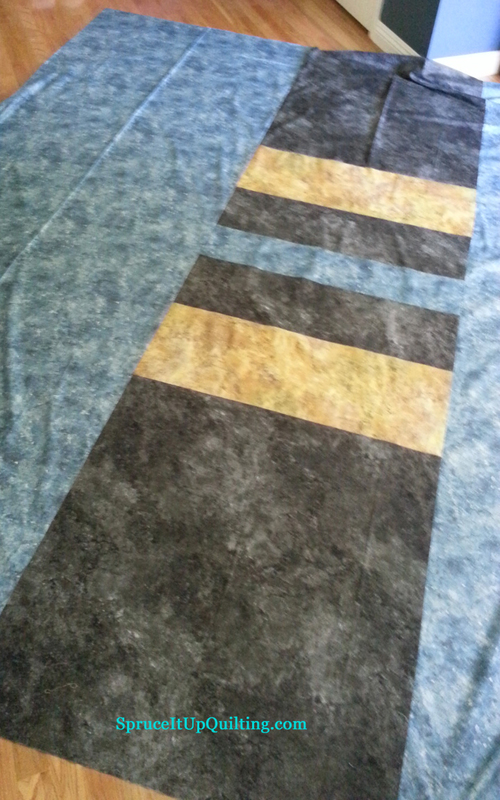 Yes I keep busy all day quilting! hahaha! 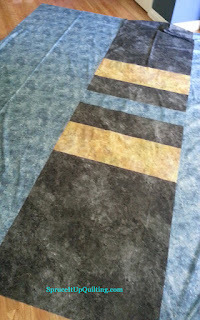 Since retirement, I spend my days in my sewing room. Love it!